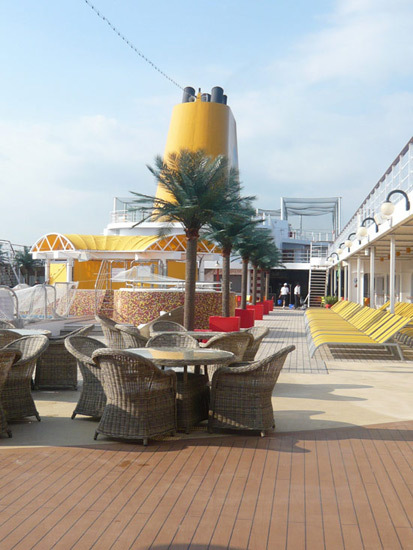 The cruise company Costa Cruises undertakes complex reconfiguration and refurbishment of its ships to consistently remain contemporary. The Costa NeoRiviera, for instance, was integrated in the existing fleet following extensive refurbishment. This is where DAUERFLORA came in – not just because of the carefully formulated concept but also because reconfiguration using plants is an effective and relatively cost-effective way of giving ships a new look. On the basis of its good work on the decorations of the ships‘ communal areas, such as the buffet and reception areas, the Hamburg-based company was also able to secure further deliveries to various ships within the Costa fleet as well as. In addition DAUERFLORA has been awarded the contract for extensive buffet decorations for Costa Asia and the new-build Costa Venezia. DAUERFLORA has established successful, long-standing collaborations with a large number of its customers. For instance, DAUERFLORA has developed and implemented the greening design on all ten ships in the AIDA fleet. 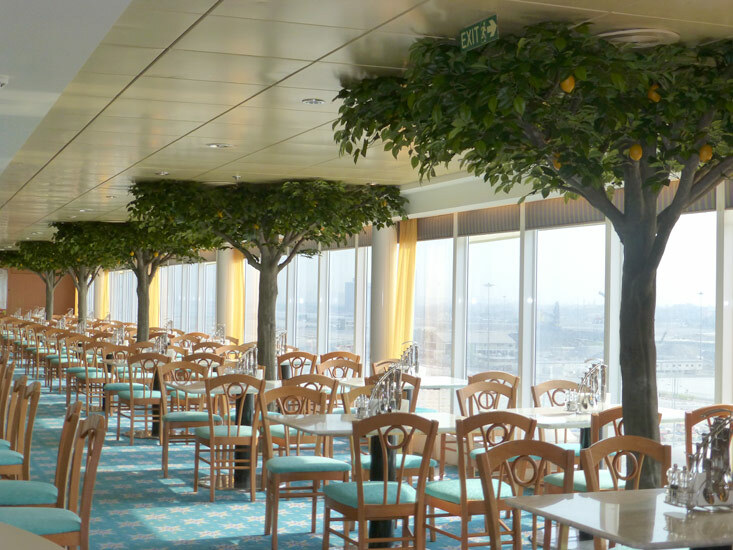 DAUERFLORA has also provided striking greenery for the "Mein Schiff" ships of TUI Cruises, and also for the cruise liners of Carnival Cruises and Celebrity Cruises, as well as for MSC and NCL Cruises, and for Color Line, Viking River Cruises and Fjordline ferries. Well-known hotels such as the Maritim Berlin, H10 Berlin, the Radisson Blu in Hamburg and the Innside Hotel Dresden also employ the services of DAUERFLORA. DAUERFLORA has a great deal of experience when it comes to providing greenery for shopping centres like "Das Schloss" in Berlin, Dodenhof Posthausen, Kröpeliner Tor Center in Rostock, Einkaufstreffpunkt in Hamburg Farmsen and the Königsbaupassagen in Stuttgart. Further examples of satisfied customers: ENDO-Klinik in Hamburg, Mitsubishi, Montblanc, ESPRIT, Warner Bros., EDEKA and northern German shipping company NSB.